[Plainview, New York] — Joe Moshé, Broker/Owner, Charles Rutenberg Realty, Inc. (CRRLI), says the strong home sales numbers on Long Island during the month of July are likely to continue throughout the rest of the summer. Multiple Listing Services of Long Island (MLSLI) recently announced that, last month, 2,686 homes were sold on Long Island. Although that is three percent less compared to last July with 2,770, it is an improvement of 10.9 percent over the same month two years ago at 2,421. In the previous three months, home sales climbed month over month, starting in April with 1,864 to May with 2,036 to June with 2,760. The same upward trend occurred the same time last year as home sales went from 1,628 in April 2015 to 1,828 in May 2015 to 2,266 in June 2015, although those numbers were not as high as this year’s. Mr. Moshé says that, despite last month’s dip in sales, home sales should regain traction, but home prices are poised to go up as well — at least in Nassau, based on the median sales prices. In Suffolk, median home prices last month were $345,000, which is a 2.1 percent increase over last July’s price of $338,000 and 3.8 percent over the previous price two years ago, at $332,500. Suffolk, like Nassau, saw home prices go up between April and June, when prices went from $312,000 to $340,000 in May to $342,700 in June. Last year, prices during the same time also went up from $315,000 (April 2015) to $328,999 (May 2015) to $340,000 (June 2015); with the exception of April, last year’s prices were lower than they were this year. Although both Nassau and Suffolk median home prices have hit their highest levels so far this year, they are still below pre-recession levels in 2007, when Nassau topped out at $502,500 and Suffolk’s peak was at $420,000. However, though Nassau prices are now 95.5 percent of what they were in 2007, Suffolk’s are 82.1 percent of that time period. Since the market bottomed out in 2008, the Long Island Real Estate market has seen modest price increases at a rate of two to three percent per year. However, the recent acceleration in sales volume and price increases have made Realtors more optimistic for sustained improvement in the market. The National Association of REALTORS® has named Charles Rutenberg Realty, Inc. among the top five firms in New York State. 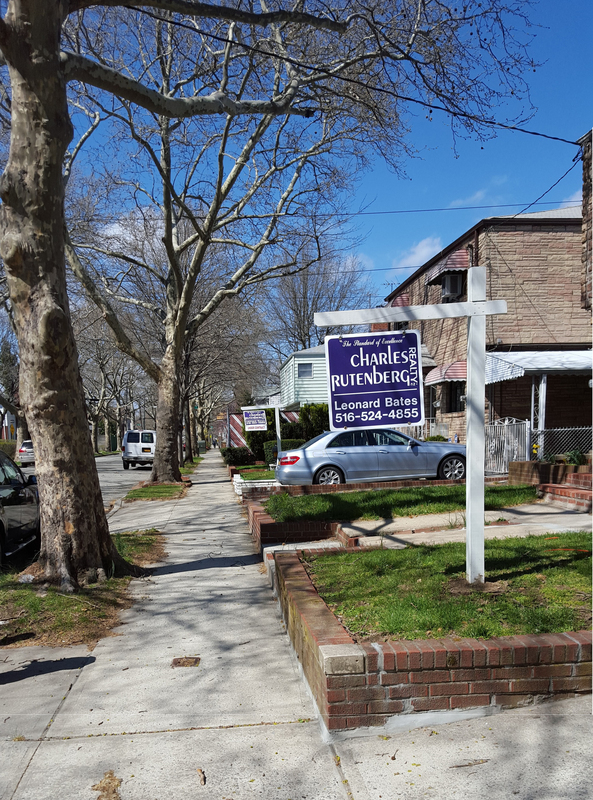 As one of the nation’s fastest-growing Agencies, with nearly 5,000 associated Real Estate Professionals nationwide, Charles Rutenberg Realty, Inc. is proud to serve Long Island and Queens, Brooklyn, Bronx, Westchester, Putnam, Rockland and Orange Counties. For more information, visit www.crrli.com.